London’s National Portrait Gallery (NPG) has decided against accepting a £1m grant from the Sackler Trust, following growing controversy over the damaging medical impact of OxyContin, a drug produced by the family’s pharmaceutical company. The Art Newspaper can report that this morning the gallery is announcing that “the Sackler Trust and the National Portrait Gallery have jointly agreed not to proceed at this time with a £1m gift from the Sackler Trust to support the gallery's Inspiring People project”. The Sackler Trust’s grant was awarded in 2016 for the £35.5m project, which includes a building development, a new education centre and a redisplay of the collection. The money remained a pledge and was not paid over, partly because work had not yet started and partly because the gallery needed to consider the implications of Sackler funding. Last year there was growing public concern in the UK about OxyContin, a prescription painkiller, which has been linked with the opioid crisis which critics say is now killing 100 people a day in America. The drug is manufactured by Purdue Pharma, a Connecticut company primarily owned by the descendants of the late Mortimer Sackler and his brother Raymond. Purdue is now facing lawsuits over the marketing of the drug. This morning the Sackler Trust is issuing a statement, saying that they were pleased to have offered support to the NPG. It goes on to add that “the giving philosophy of the family has always been to actively support institutions while never getting in the way of their mission”. The statement says that “recent reporting of allegations made against Sackler family members may cause this new donation to deflect the National Portrait Gallery from its important work”. The key part of the statement then explains: "The allegations against family members are vigorously denied, but to avoid being a distraction for the NPG, we have decided not to proceed at this time with the donation. We continue to believe strongly in the gallery and the wonderful work it does." The Sackler Trust is therefore withdrawing its pledge. David Ross, the NPG chairman, comments: “I acknowledge the generosity of the Sackler Family and their support of the Arts over the years. We understand and support their decision not to proceed at this time with the donation to the Gallery." An NPG press spokeswoman adds that “we fully respect and support the Sackler family's decision." What went on behind the scenes which led to this unusual situation? 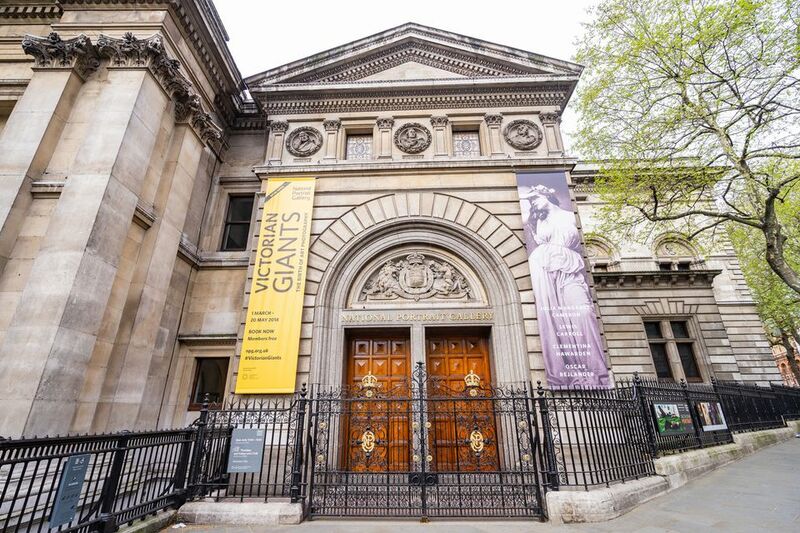 In 2017 news leaked out about the £1m grant offer to the NPG, which led to growing concerns. It became increasingly clear that accepting Sackler money would spark protests. Last year the NPG trustees set up an Ethics Committee, comprising two trustees and one outside member, to examine any potentially questionable donations for Inspiring People. During the winter Nicholas Cullinan, the NPG's director, and his development team compiled a report on the Sackler Trust grant, which was submitted to the Ethics Committee and considered by them on 27 February. Meanwhile, earlier last month, the American photographer Nan Goldin said that she would withdraw from a proposed exhibition at the NPG if the Sackler money was accepted. Following a discussion on 27 February, the Ethics Committee’s feelings were conveyed to the Sackler Trust, which resulted in a mutual decision that the grant offer should be withdrawn. The NPG’s trustees were informed on 13 March, clearing the way for today’s announcement. In the UK, there are two Sackler charities which have become bound up in the controversies. The Sackler Trust, which had offered the NPG grant, was set up by Theresa Sackler, the British third wife of Mortimer, a former chief executive of Purdue who died in 2010. Although born in New York, Mortimer was mainly resident in the UK. The Mortimer and Theresa Sackler Foundation is the other important donor to museums and the arts. News of the NPG’s decision will now put the spotlight on other major UK museums and arts institutions which have accepted substantial donations from the Sackler Trust or the Mortimer and Theresa Sackler Foundation in recent years. These include Tate, National Gallery, Victoria and Albert Museum, Natural History Museum, Serpentine Galleries, Museum of London, Design Museum, Dulwich Picture Gallery, Courtauld Institute of Art and Royal College of Art. CORRECTION: The Royal Academy of Arts has been removed from the list of UK museums and arts institutions that have received funds from the Sackler Trust or the Mortimer and Theresa Sackler Foundation, as its support came from another branch of the family.